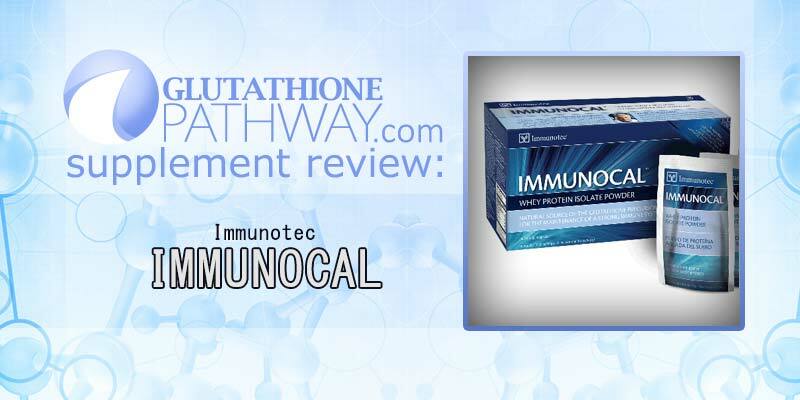 Immunotec is a large scale multi level marketing company with multiple health based products and another company promoting the health benefits of glutathione for some time. Before acetyl-glutathione, before liposomal, there used to be only one good alternative to iv glutathione and that was whey protein. The first gsh boosting product from Immunotec and truly a foundation product for their company. Immunocal is patented and claimed to be a unique special formulated natural whey protein designed to help maintain your immune system. There is research, marketing, and a massive following for Immunocal and it’s many health benefits. For a retail price of $99 you receive 30 pouches (10g each) of Immunocal. There are discounts available on a ‘sale’ basis, as well as loyalty programs and involvement within the company. The supplemental facts for immuncal are remarkably simple. There are a lot of tremendous health benefits to consuming whey protein, and Immunocal from what we can tell uses an extremely high quality non denatured whey protein. The benefits of glutathione, and their product providing precursor cysteine is touted, as well as the high “biological value” or BV of the product. 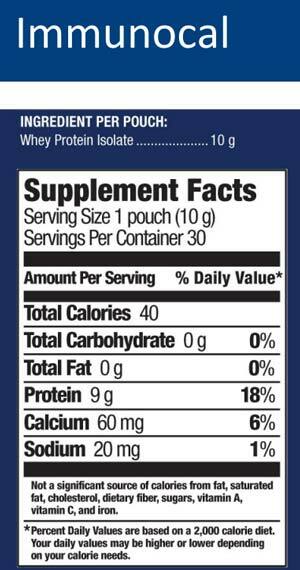 Unfortunately it’s hard to understand what differentiates this from any other high quality whey protein. What exactly is their patent on? There truly doesn’t seem to be anything too special about it. Finding a good quality whey protein can be tricky… but for the price, and the headaches of autoships and hard MLM upsells to other products… it seems more sensible to just hunt a good whey protein from your local store. We love that Immunotec put research behind glutathione, we love they raised it’s notoriety and made people aware of it’s health benefits, and we love that they do provide exactly what they say… an incredibly high quality whey protein supplement to enhance glutathione. We don’t love that the packages are 10 g each, though perhaps convenient for some, scooping whey from a cannister with a measured scoop allows more control over your dosage. We don’t love that they have a patent and claim a magical process to create a formula that as far as we can tell is only whey protein. If you are going to buy glutathione supplements, buy a good direct glutathione supplement. If you want to boost glutathione and experience the health benefits of whey protein, find a great whey protein! If you are absolutely hard up in your town and don’t trust other internet sources, then maybe immunocal is the protein for you. Leave a comment and tell us what you think of Immunocal. If all you want is a quality whey protein, this is an expensive way to get those health benefits. If you want a direct glutathione supplement you may want to look better. I can tell you at least one reason immunocal works so well. Those sealed pouches keep the product viable. I’ve noticed with several different products sold in bulk tubs that when I am 2/3 of the way thru the product it stops working because of oxidation. The more times you open that lid and let air in, the less effective your product becomes.